Reputation– Fortunately, with a plethora of review sites at your fingertips, you can quickly find out what type of reputation a lawn care Company has. Review sites like Google Business, Yelp, Angie’s List, and Yellow Pages are just a few examples. Although some reviews may be extreme in one direction or the other you can get a good feel for the overall reputation of a company by how well it is rated on the various sites. If the company cannot be found online then you must rely solely on word of mouth. It is important to add that when companies register with review sites and on social media they are in a way creating accountability from the public. The fact that a company is willing to put their reputation at the mercy of the public says multitudes about the confidence they have in the quality of their work and customer satisfaction. ‍Customer Service– As a whole customer service is significantly neglected by lawn care companies. It is not uncommon to continuously be sent to voicemail and never receive a call back. In addition to that, most lawn care companies do not have valid email addresses or do not monitor the ones they have to respond to clients or potential clients. When choosing a company make sure they answer the phone or call back in a timely manner. A bonus is to choose a company that has a valid email address in which emails are monitored and responded to expediently. One can get a good grasp of the quality of the company they are dealing with by the quality of the person on the other end. They should sound friendly, knowledgeable, and exude a willingness to help. Insurance – It goes without saying that business insurance is important for lawn care companies to have. However, it is very common for lawn care companies to lack the proper type and amount of insurance needed to protect you, your family, and sadly themselves. When any high RPM equipment is used on your lawn, there is the possibility of an accident. Even with proper training and well maintained equipment unforeseen circumstances occur. Will they provide you with proof of coverage? Does the lawn care company you are considering look like they can afford a new window for your car or glass for your sliding glass door? Do they give you the impression they will fix the paint job on your new car when an unforeseen object is thrown from a mower blade or trimmer line. If you have any doubt, choose a company that gives you peace of mind with an adequate liability policy to protect your hard earned possessions and beloved family. Properly maintained Equipment– A simple way to differentiate average companies from top notch companies is the appearance and quality of their equipment. 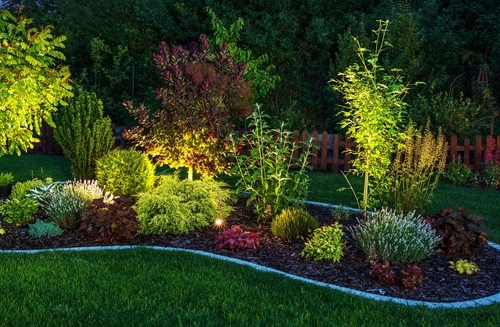 Poorly maintained equipment will produce less than desirable results in your lawn. One of the most important factors to obtaining a clean carpet like appearance from mowing is sharp blades. Lawn mower blades should be sharpened every day or every two days at the most. Mowing with dull blades will cause grass to have a torn tattered brown tip rather than a neat clean cut. A clean cut will help resist infection from fungus and disease that many warm weather grasses are vulnerable too. Also, equipment that is cleaned often lessens the chance that your lawn care company will bring disease, weeds, or pests from another lawn. Reliability– Did your lawn guy suddenly stop showing up after a week or two? You are not alone in your frustrations. Lawn care companies are notorious for the mow, blow, and go attitude. Unfortunately, the “go” seems to be on the top of their priority list. Unless you have a solid reference from a friend or access to online reviews, reliability of your lawn care Company can only be verified through experience. From my experience price and reliability are correlated. Certainly this is not always the case but if you are quoted a price that seems too good to be true, it probably is. Reliable companies must charge reasonable prices to ensure that equipment is maintained, wages are adequate to keep talented employees, and insurance premiums are paid to protect you. By no means should these criteria be the only factors involved when making a decision, however they should be weighed heavily. These criteria are typically determined by a companies values and culture. Even small companies with a limited budget can deliver. Regardless of claims, insurance is affordable for the smallest of legitimate companies and there is no excuse for the lack there of. If you can’t get the peace of mind you are looking for by checking your online resources, simply pick up the phone and call the companies you are interested in doing business with. If you are unable to make contact immediately or very shortly thereafter, you will likely be disappointed in the future. If you do make contact with a company representative make sure they sound friendly, knowledgeable, and willing to help. All in all, do your homework, check reviews, and follow your gut. Lawn care companies are not created equal. Before you trust someone on your property make sure your are totally comfortable with your decision.